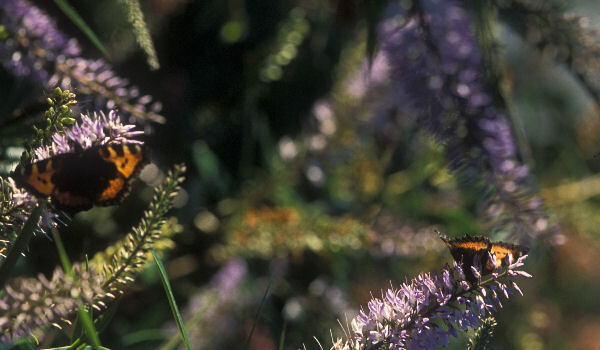 This is one of the two Hebe's reported most attractive to butterflies in a 10-year survey by members of Butterfly Conservation, the national charity working to save our wild butterflies from dying out. 'Midsummer Beauty' starts flowering late in summer, but then goes on to Christmas in our recent mild winters. It is a hardy perennial, forming a large shrub in 2 or 3 years, but can be pruned hard to keep it compact.